Chris Spilly (L) and Marc Stelzer are owners of American Home Renewal, Inc.
You can easily add to the comfort, appearance and value of your home by investing in new windows. But new home windows are only as good as the San Francisco window contractor you choose to install them. Research is the key to finding the best window contractors in San Francisco, including those in the major districts of Sunset District, Richmond District, Mission District, Tenderloin and Bernal Heights, Excelsior, Pacific Heights, Nob Hill, North Beach and Bayview District as well as those in the smaller districts throughout the City. Whether you have drafty windows you want to trade in for lower heating and cooling bills, small windows with peeling frames you’d like to swap for an improved view and aesthetic, or you’re hoping to invest in beautiful and efficient windows that immediately increase your home’s value, the first step in choosing a good window contractor is to decide what you want to gain from your new windows. By having a specific goal, you’re more likely to find the San Francisco window contractor that does the quality work you’re looking for. Show-stopping storefronts and aesthetically-appealing commercial buildings in the larger San Francisco districts such as Sunset District, Bernal Heights, Excelsior, Mission District, Richmond District and Tenderloin, including some of the smaller districts, have one obvious element in common -windows that are visually pleasing to the public outside and that make working and shopping more enjoyable inside. But commercial window selection and installation is a different process than choosing new residential windows. Materials used to manufacture commercial windows are often stronger and more flexible. This allows for eye-catching design and better building stability. It also means you have a wider range of products, from opaque reflective surfaces and windows specially-built for security to windows that stand up to high-salt seaspray and have special coatings that repel fingerprints and dirt. Every San Francisco window company claims to be the best. So how can you weed out the contractors who really aren’t that good and find those with proven records? It starts with looking for sources of honest information, unbiased reports and proof of performance on past installations. While it’s usually best to choose Diamond Certified window companies because they’re rated Highest in Quality, that’s not always be possible. If you’re unable to choose a Diamond Certified window contractor in your area of San Francisco, you can improve your chances of hiring a decent window installer by checking out local companies on the Contractors State License Board website to ensure active license status, workers’ compensation insurance and view any outstanding violations. Then verify company credentials. Some window contractors in San Francisco are members of local organizations and window associations. Others have even earned certifications from window manufacturers as authorized distributors and installers who can sell and install products that uncertified companies can’t. From start to finish, you’re going to be spending days, weeks or even months dealing with your window contractor. Like any working relationship, it’s important for you to work well together. You’ll want to consider personal and professional qualities you’d prefer in a window installer. Traits such as promptness, good communication skills, honesty and cleanliness are important to many consumers, so think about what kind of window contactor you want to hire and don’t settle for less. Be aware, though, that with some window installation companies in San Francisco, including in the larger districts of Pacific Heights, Nob Hill, Sunset District, and Richmond District, the salesperson you buy your windows from may not be involved in the installation process. That means there’s a chance the rapport you’ve built with them and the agreements you’ve made might not carry through to the rest of the job. If you’ve been talking with a local window sales representative, you may want to confirm with them who will be your contact during the installation and how they can guarantee the promises made during the sales process will be kept by the installation crew. 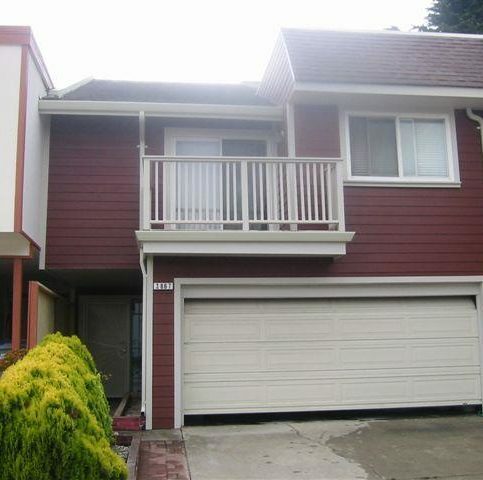 Now that you’ve done some initial research, talk with a few window contractors in your area of San Francisco. That’s easy if you live in one of the larger districts, including Sunset District, North Beach, Richmond District, Tenderloin or Bernal Heights. 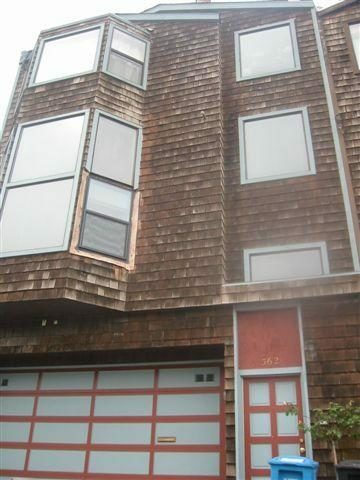 However, many window installers are willing to travel to other parts of San Francisco, including the smaller districts of Russian Hill, Western Addition, the Castro, Potrero Hill, Haight-Ashbury, SOMA and other areas of the City. When you interview window companies, have a written list of questions, and note the contractors’ answers. Remember, though, that many window installation contractors will not provide estimates over the phone without seeing the job first. However, don’t feel obligated to set an appointment for an in-home estimate with the window contractors if you weren’t impressed with your initial contact. If the company representatives you’ve talked with don’t meet your expectations or can’t answer your questions adequately, feel free to move on to the next window company on your list. Why Trust Diamond Certified Window Companies Rated Highest in Quality? A: The 49ers. It took me a while to get rid of my New York allegiance, though—I grew up a Jets guy during the Joe Namath days and switched to the Giants as I got older, but I’m loving the Niners now. Q: What’s your favorite band? A: The Grateful Dead. I admit it—I’m a Deadhead, which certainly made it easier to move out here 30 years ago. It was a lot of fun seeing them at places like the Greek Theater and Oakland Auditorium. I’ve probably seen them 30 or 40 times. Q: Have you ever read a book more than once? A: Sometimes a Great Notion by Ken Kesey. One Flew Over the Cuckoo’s Nest gets all the praise—and deservedly so—but this was a great book in its own right. Oh, and Go, Dog. Go! of course…a classic! A: Coffee. I go back and forth, but I’d pick coffee if I had to. A: Dog person. We have a Rottweiler/Australian shepherd mix named Rudy. He’s a good guy. Q: Which superpower: flight or super strength? A: Flight, because there’s no need for strength if I’m flying around. What could be more fun than that? 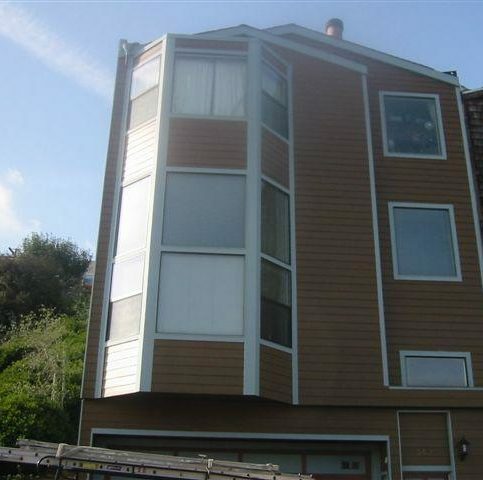 The firm replaces doors, windows, exterior siding and gutters. 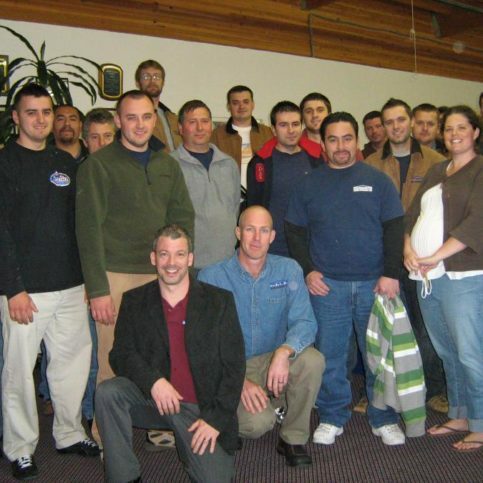 American Home Renewal’s team strives to make its customers’ homes more energy-efficient. Do I want a Diamond Certified company that is rated best in quality and backed by the Diamond Certified Performance Guarantee? What is my overall goal in getting my windows replaced? 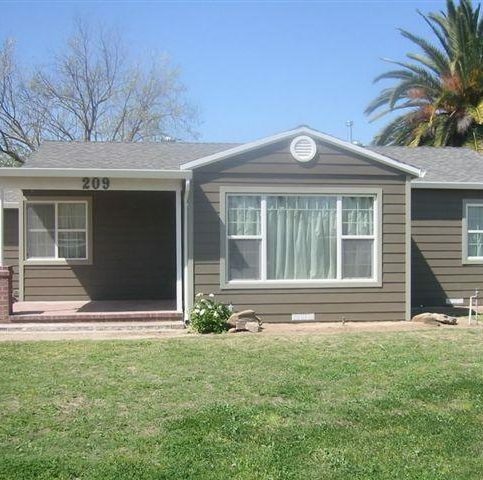 What is my budget for new windows or window replacement? Is there a specific design aesthetic I’m looking for? What material do I want my new windows to be made from? What characteristics do I want in a San Francisco window contractor? This could include communication skills, starting the job on time and sticking to the schedule throughout the job, specific warranties or guarantees, and follow-up service. Do I plan to live in this home long-term, or is it a rental property or a house I plan to sell? When interviewing San Francisco window contractors in person, use these sample questions. It’s also a good idea to give the window installers time to look at your current windows and property to give you additional information that may help you make the best choice when hiring the best window contractor for you. How much time will the job take? Will I be able to stay in my home during the new window installation? Will my new windows trim down my electric bills? Do you have customer references I can call? 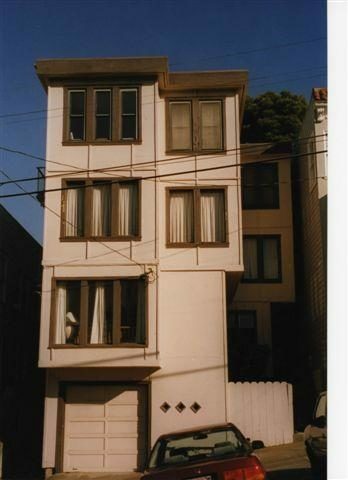 Are there recent projects in my area of San Francisco where I can see how the windows look from the street? How do you finish the windows after installation? If I want them painted or stained, do you offer that service or will I have to hire a separate contractor? How would I handle service issues after the window installation is complete? Are you responsible for warranty work if there’s ever a problem with my new windows? What can I do to make this process faster and easier? It’s best to choose a Diamond Certified window contractor because all certified companies have already passed an in-depth ratings process that most other companies can’t pass. If you want quality from a local window company in San Francisco and the greater Bay Area, you can have confidence choosing a Diamond Certified company. Diamond Certified reports are available online for all certified companies. And you’ll never be fooled by fake reviews. That’s because all research is performed in live telephone interviews of actual customers. If you can’t find a Diamond Certified window contractor within reach, you’ll have to do some research on your own. If you do, it’s wise to call some references. Keep in mind, though, that references provided to you by the window companies themselves are not equal in value to the large random sample of customers surveyed during the Diamond Certified ratings process. That’s because references given to customers from companies are cherry-picked instead of randomly selected from their entire customer list. So the contractors will likely give you a few customers to call that they know are satisfied and you may miss out on hearing a range of opinions about their work and customer service. 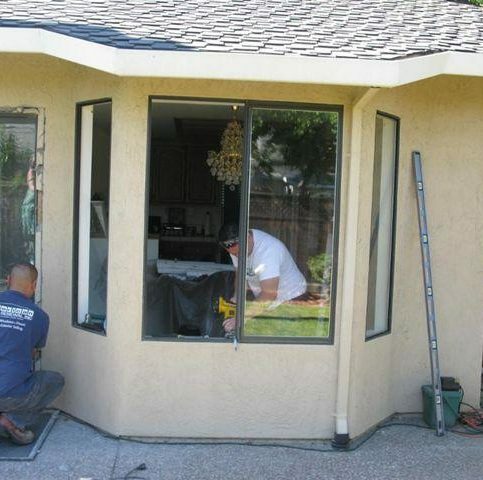 Were you satisfied with the window installation and service from (window company name)? What was the type and scope of job they did for you (window repair, window replacement, whole house window installation, etc.)? Did the San Francisco window contractor you hired finish the job on time? Did they give you frequent status updates? Were there unexpected costs related to your window installation? If so, what were they? If you live in a smaller district such as Barbary Coast, Cole Valley, Glen Park, Noe Valley, Sea Cliff or West Portal or in other less populated areas of the City, did they charge extra to travel to your home? Did the window installers show up on time? Were they respectful of your property? Did they clean up after finishing the window installation? If you need new windows in the future, would you use this window contractor again? Would you recommend this contractor? Can I visit your home to see the completed window installation? Can the window contractors meet your needs in terms of scheduling, products and window installation preferences? 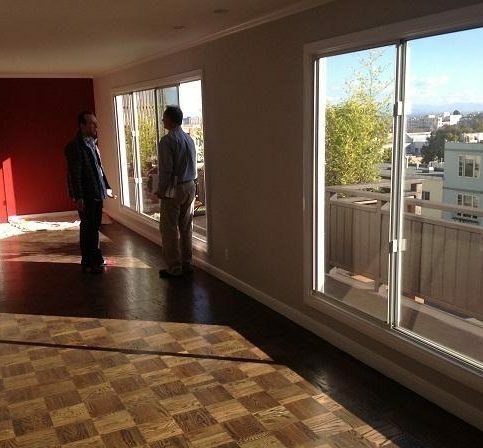 Are the San Francisco window companies knowledgeable about the products they sell and install? Can they tell you which products best suit your needs and why (i.e. 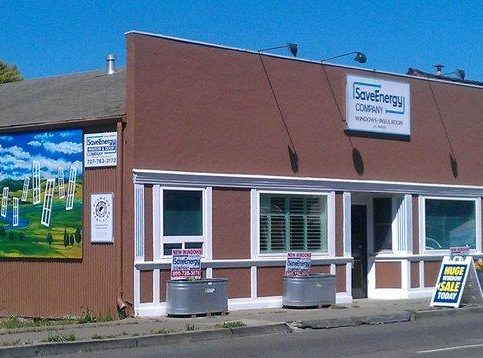 aluminum windows, insulated windows, vinyl windows, energy efficient windows)? Is the window installation company sensitive to your budget? Can they offer various products that fit your resources? Most contractors will give you bids for Good, Better and Best options that include a choice of product, design, prices, brand names and services. Do the window contractors in San Francisco offer warranties in the event of a product failure or window installation error? Will they put their guarantees in writing? It’s also smart to note your own expectations, realizing that some may not be congruous with the project. For example, it may not be realistic to expect a consistent schedule or a quiet worksite when having new windows installed. You’re most likely to be satisfied with the process when you talk with your contractor before the job begins and discuss realities and expectations from both your view and the window contractor’s. In this buyer’s market, you might be surprised to find you’re not the only one who is selective about with whom you work. San Francisco window companies can also be careful about which jobs they accept. That’s because bids take time and expense to prepare, and many contractors have lost money and faced problems from unreasonable homeowners. It’s reasonable, then, that some local window contractors show a lack of interest with some jobs or don’t respond to all work requests. Here are a few easy ways you can get good window contractors to bid on your job. Be honest that you’re accepting other bids or interviewing other window contractors. But assure each contractor that you’re gathering just a few honest estimates, not pushing several contractors for the lowest bid. Look for good value, not just low price. The first question most consumers ask is about price, so it’s important to show your contractor that you are looking for quality and value. Search among local window contractors in San Francisco. 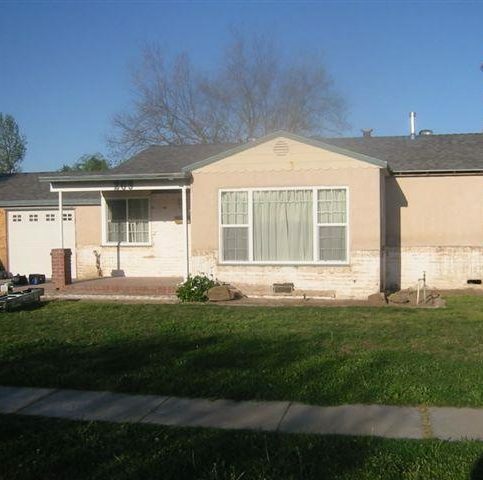 Most like to stay in the local area, as it allows them to provide better service in a timely fashion. It also shows the contractors you’re serious about quality products and installation, as some fly-by-night contractors travel long distances to install cheap products that local contractors may not be able to compete with price-wise. 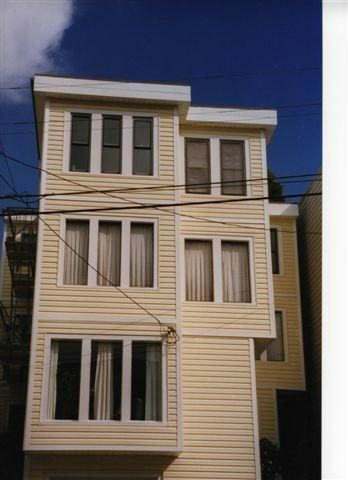 You’ve finally found the perfect San Francisco window contractor that meets all your requirements. Now is the time to ask your window installer for a contract that includes written confirmation of price, quality and timing for the entire job. They should also be willing to provide you with a written timeline that covers the job start date, major milestones and intended completion date along with areas of specific concern. The contract you sign with a San Francisco window company should protect you and your property as well as your contractor’s interests. For this reason, never sign a blank or incomplete estimate. Read the entire contract and understand the terms before you sign it. And don’t be afraid to write in your own requests or put in writing the verbal agreements you’ve made with your representative. For instance, project start and end dates are important, but factors you and your installer can’t control, like weather, can drag out your job and allow a contractor to keep pushing back the expected completion date. That’s why it’s a smart idea to add a no-later-than clause to your contract. This stipulates when all work must be finished. Even if inclement weather or faulty products delay installation, this clause gives you reassurance that your job will be finished on time. If a quick turnaround is important to you, you may even want to consider adding a bonus to your contract for early completion. It’s also wise to confirm warrantees one last time before signing your contract. Some window installers in San Francisco only guarantee certain window brands or window installation techniques. Verify that manufacturer warrantees apply to the windows you’re having installed, and then sign the contract with confidence. Don’t forget about related issues that aren’t usually covered by standard contracts. You can protect yourself from added expense and frustration by being proactive. For example, regardless of how careful your window installer promises to be, crushed flowers, damaged shrubs and rutted lawns are often unanticipated hazards that come with hiring a window contractor. Before work begins, ask the job supervisor to accompany you on a pre-work inspection to determine the original condition of the property. 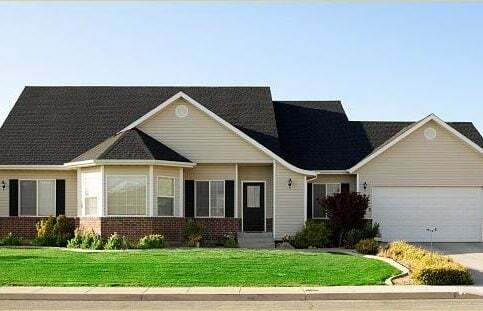 List or photograph your landscaping and property before the work begins, and talk with your contractor about reasonable expectations for protecting your home and yard during the window installation process. When you’ve reached an agreement about the condition of the property, both you and the contractor should sign and date the document. After the work is done, do a final inspection together to confirm your expectations were met. How Can You Be a Good Window Company Customer? It’s the window company’s responsibility put in quality windows using the best possible installation techniques. But you play a big part in the success of your new window installation, too. 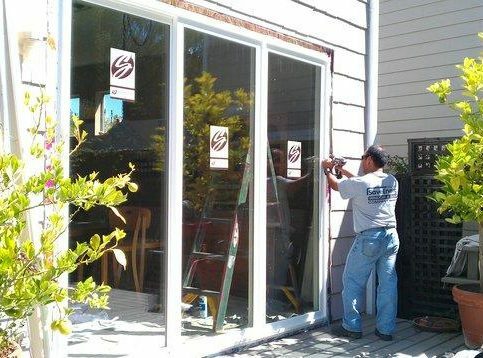 Here are a few simple steps you can take to be a good customer when hiring a window contractor in San Francisco. 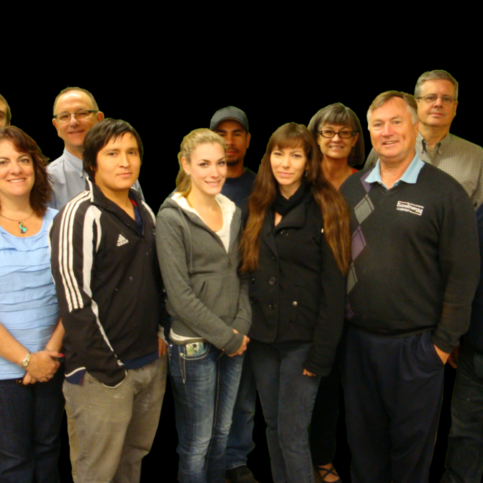 Be clear and upfront with the window contractor or window company representative. Let them know what you want from your windows, the long-term outcome you’re expecting and specific ways they can satisfy your expectations. Remember, a friendly smile goes a long way! 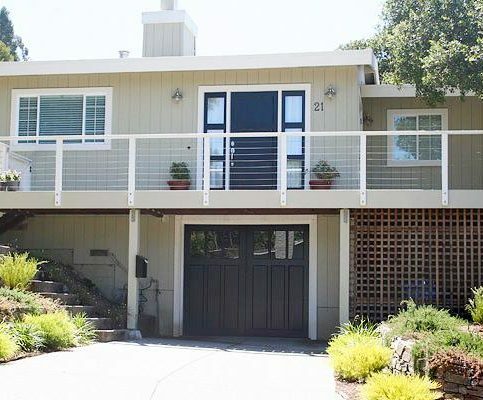 Before you hire a window contractor in San Francisco, restate your expectations and goals, and reiterate to the window company representative your understanding of the agreement. Most problems with local window contractors occur because of a breakdown in communication. By being clear about your expectations and theirs, you can avoid most conflicts. Ask your window installer if you should call to check on the progress or if he will call you with updates. Be sure your service representative has a phone number where they can reach you at all times while they’re installing your new windows. The work will move along more smoothly if your window company can reach you for any necessary updates, questions or work authorizations. When your contractor contacts you, return calls promptly to keep the window installation on schedule. Pay for the new windows and installation work promptly. Why would you want to be a good customer? 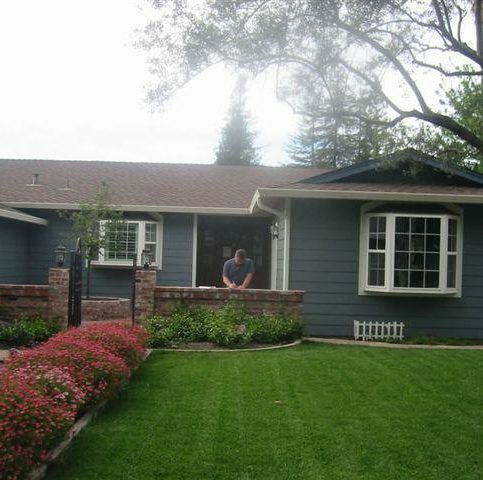 Window installation contractors in San Francisco appreciate customers who are straightforward, honest and easy to work with. Reasonable customers often help the job go smoother. Your good customer behavior and upbeat attitude can set the tone for the whole project and create an atmosphere conducive to a good relationship. Things may very well go smoother and any problems more easily resolved. The name and physical address of the window contractor. A list of all window installation work performed. An itemized list of all new windows or window replacement parts. The total window installation cost, including the amount charged for labor. Any applicable warrantees or guarantees provided by the window manufacturers or the window installers. It’s smart to compare the written invoice to the completed work. 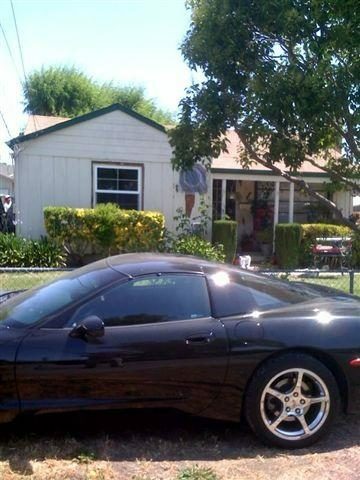 Ask the representative to walk through the job with you and show you the window repairs and new installations. Check all work against the invoice to ensure it meets your expectations and the specifications set at the start of the job. Your window company should be willing to talk you through the process and give you instructions for operating and maintaining your new windows. If you have questions about what work was done or how the windows were installed, now is the best time to ask. The window contractor’s name and physical address. What is covered by the warranties, including whether the contractor will replace or repair your windows or give you a refund if there is a warranty claim. Exclusions should be in writing. Your responsibility if you need warranty work or replacement windows (i.e., if you have to pay for labor when filing a claim for window warranty work or pay a prorated amount). If the new window warranty coverage is transferrable to the new owner if you sell your home. The top requests for new and replacement windows are listed below. Read the paragraphs below for the definition of each type of window replacement or window repair. 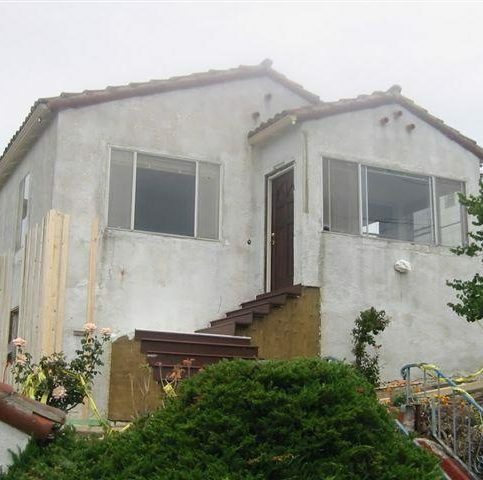 New windows are usually installed in new construction and remodels. They differ from replacement windows because they have a nailing fin along the outer frame and are nailed in from the outside of the home before siding or exterior trim is installed. When existing windows deteriorate, replacement windows can increase efficiency, provide better security and upgrade the appearance of your home. San Francisco window contractors usually install replacement windows in existing window spaces, using the existing trim and cladding. Drop-in replacement windows are designed for minimal disruption of the existing structure and are often the least expensive option. Window installers in San Francisco are often asked to repair old windows and windows that have been broken. Some contractors specialize in repairing and restoring old windows to maintain historic homes. 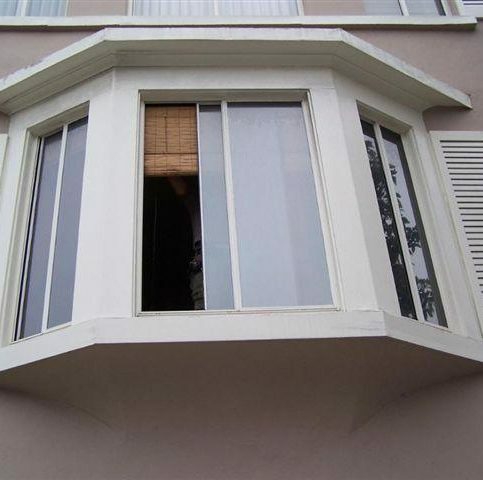 Others repair window frames and provide routine maintenance for modern windows. Vinyl windows are a favorite of San Francisco homeowners in Sunset District, Nob Hill, Mission District, Bayview District and other districts because they are inexpensive, durable, energy efficient and nearly maintenance-free. Perhaps the most popular type of window, double-hung windows consist of upper and lower window sashes that slide vertically in side window jambs. They have a maximum opening of one-half the total window area. To increase efficiency, storm windows can be added to existing windows. They can be permanent or temporary windows mounted externally or internally to existing windows. Bay windows are popular requests in San Francisco because they project outward from the main walls of a home. This creates a larger living space or the illusion of a larger room depending on the type of bay window. Bay windows also add architectural interest and increase the amount of natural light that flows into a room. Energy efficient windows are often designated with an Energy Star label. These windows are known to drastically reduce energy bills. Most energy efficient windows are insulated and protect against heat loss and gain, maintaining indoor air temperature. Casement windows are attached to their window frames by hinges located on the side of the windows. (Windows that are hinged at the top are called awning windows, while windows attached at the bottom are hopper windows.) 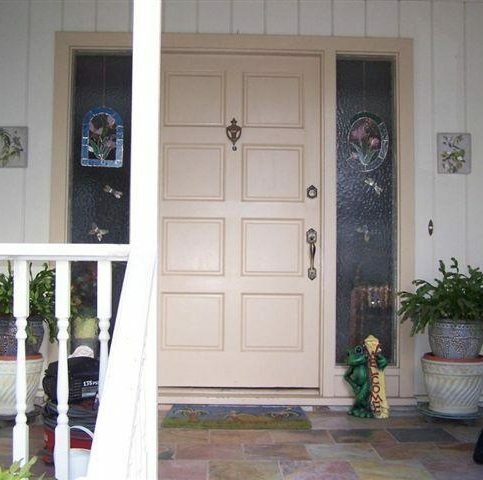 Casement windows may be made of leaded glass and often open inward. Known as strong, durable and easy-to-configure, aluminum windows are often used to showcase beautiful views. They are also a less-expensive option in homes and light commercial buildings. Aluminum windows are not traditionally the most efficient, but more recent aluminum windows are more energy efficient than previous designs. Many homeowners and window installers in San Francisco have specific window brands the recommend and install. The most-requested window brands are listed below. For more than 85 years, Pella Windows has built and installed windows. Home windows available from Pella include casement windows, double-hung and single-hung windows, sliding windows, bay windows, bow windows, awning windows and custom windows that add architectural detail to your home. 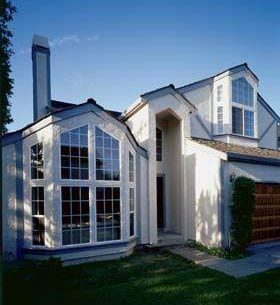 Andersen Windows is one of the most trusted brands of new windows. 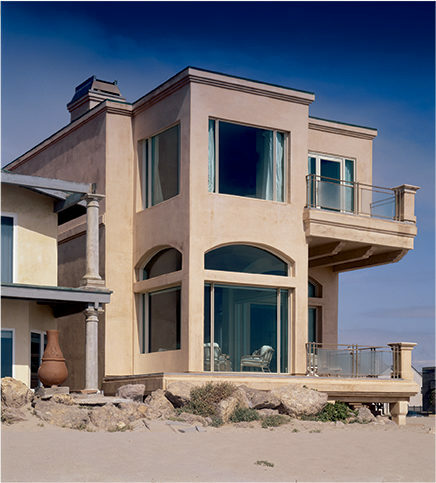 Andersen dealers in San Francisco offer replacement windows in a full range of materials and styles. From energy efficient to fully customized designs, Marvin Windows is one of the most recognized window manufacturers. 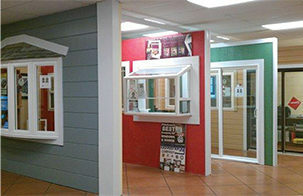 Marvin Authorized Installing Retailers in San Francisco sell and install all types of Marvin Windows. Champion Windows is a popular manufacturer of home replacement windows that are custom-built and professionally-installed. Champion also makes Energy Star windows and other energy efficient replacement windows that improve the appearance and efficiency of your home. Vinyl windows, fiberglass windows, aluminum windows and sound control windows for homes and light commercial buildings (such as hospitals and schools) are all available in San Francisco from Milgard. 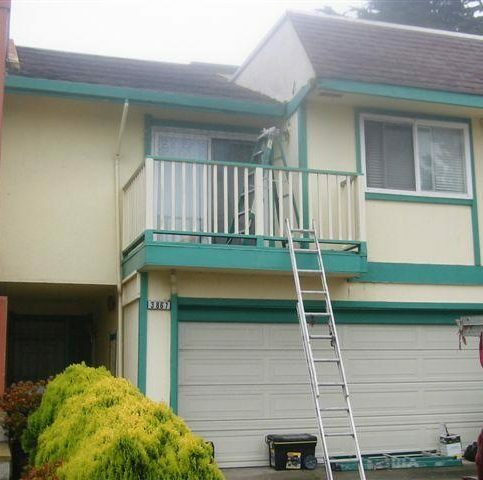 Some window contractors in San Francisco install new construction and replacement windows by Simonton Windows. These include awning windows, double-hung windows, garden windows, casement windows, radius windows, single hung windows and single slider windows. 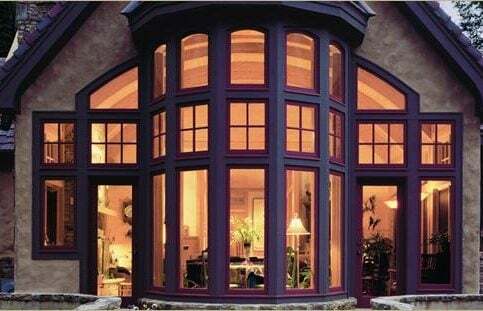 PGT Windows are custom impact-resistant windows meant to increase the style, safety and security of your home. Available windows include new construction and replacement windows with aluminum and vinyl frames. 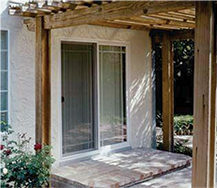 PPG also manufactures hurricane windows. 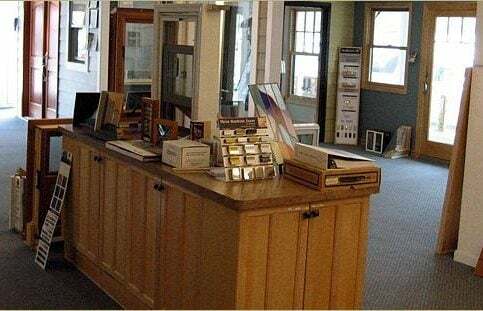 New construction windows, home replacement windows, historic home windows, custom windows and commercial building windows are all available in San Francisco from Kolbe Windows and Doors. 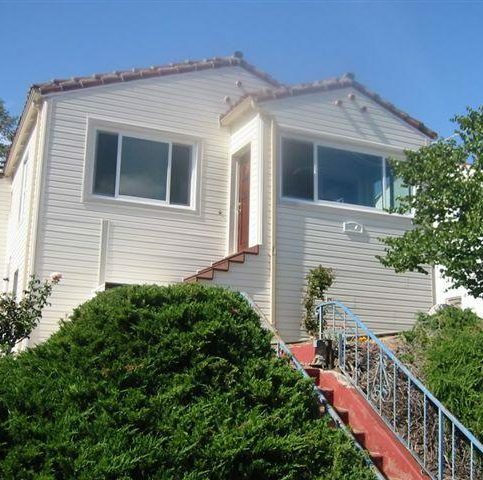 All standard and custom home windows are available in San Francisco from CertainTeed Windows. 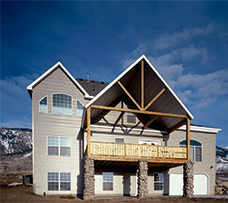 CertainTeed was one of the first window manufacturers to offer vinyl windows. They also offer energy efficient, Low-E glazed windows. 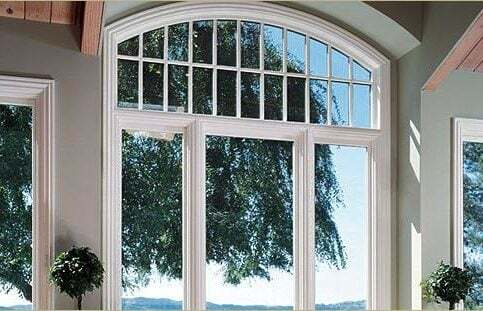 Loewen Windows exclusively manufactures wooden windows, including awning windows, casement and double-hung windows, picture windows, access windows, transoms and custom windows. Loewen wooden windows are made from woods such as Douglas Fir and Mahogany. Below are terms and descriptions that will help you navigate your way through your replacement window installation from beginning to end. Glazed window with aluminum sash and mullions. Aluminum windows are known for strength, value and flexibility in installation configurations to maximize views. Awning windows have a hinged upper sash that swings outward for ventilation. Bay windows are a unit of three windows, usually made up of a large center fixed window unit and two flanking windows positioned at 30-, 45- or 90-degree angles that project out from the wall. Bay windows may increase the size of a room or may give the appearance of a larger room depending on the construction. Some bay windows have built-in seating and are used as window seats. Windows that are side-hinged or pivoted are known as casement windows. Casement windows have a single sash that cranks outward, to the right or left. Dormer windows protrude from the roof of a house. Dormer windows usually include one or more window panes. Windows that have two operable sashes which slide vertically in the frame to open and close are known as double-hung windows. Any window made with two thicknesses of glass that are separated by airspace. Double-glazed windows increase energy efficiency and insulate against heat transfer and sound transmission. Windows with sashes that open for ventilation and swing open from the top or the side to allow cleaning of the outside glass. 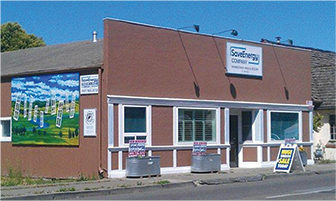 Energy Star is a government program that established a set of guidelines for energy efficiency. Windows that are Energy Star Qualified meet efficiency requirements and can save seven to 15 percent on home energy bills compared to non-Energy Star windows. Most Energy Star windows are insulated windows or double-paned or triple-paned windows that keep temperature-controlled air in the home and heat or cold out. 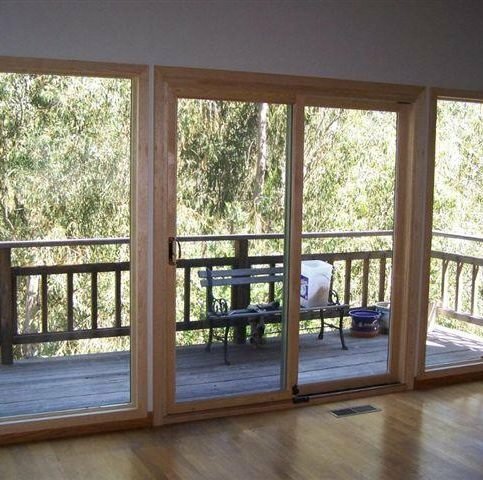 Non-venting or non-operable windows made of fixed glass are referred to as fixed windows. Fixed windows are also known as picture windows and can be reglazed and replaced on-site. Windows with a top sash that swings inward. Hopper widows are often used in basements and other areas where ventilation is wanted but large windows are not required. Insulated glass is usually a combination of two or more panes of glass with a sealed air space between the panes that is filled with a harmless gas. This space may be filled with an inert gas, which increases the insulation properties. Most major window companies offer insulated windows as part of their standard catalog. Windows with a series of overlapping, horizontal louvers that move together are called jalousie windows. Window louver panels open to maximize airflow through the openings. Window mullions are a vertical structural element that divides window panes and separates side-by-side windows. 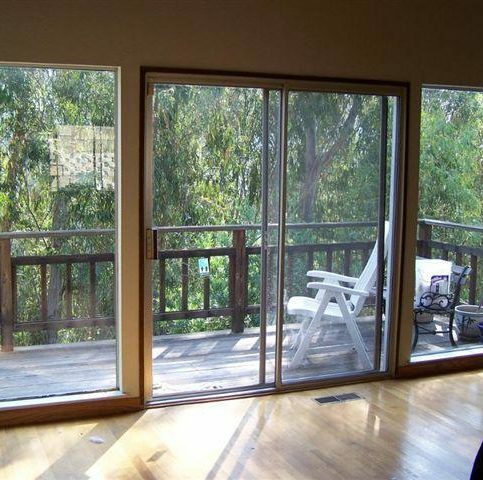 Non-venting and non-operable windows are generally referred to as picture windows. Also know as fixed windows, picture windows only consist of window frames and glass. Most picture windows are double-paned or insulated to be more energy efficient since they have such a large surface area. R-value have greater insulating properties. 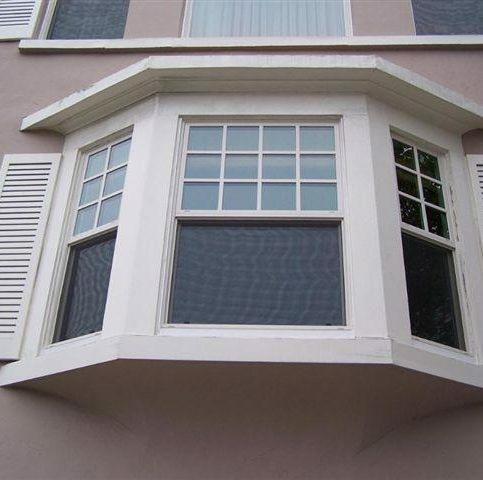 Replacement windows are custom ordered to fit inside the jambs and sill of your existing windows. Replacement windows are usually less expensive to install than installing new windows that require new frames, jambs and window sills. A single pane of glass installed in a window sash. Single-glazed windows are not as energy-efficient as double-glazed windows. Single-hung windows look similar to double-hung windows, except the top sash is fixed and stationary, so only the bottom section opens. Mounted outside or inside the main glass, storm windows are often found in cold climates or as a retrofit of existing windows. Storm windows increase the efficiency of glass windows and can be mounted temporarily or permanently. Windows made with vinyl, a plastic material, cladding and window units. Vinyl windows are popular because they are relatively inexpensive and maintenance-free. Also known as window trim, window casing is exposed molding of various widths, thickness and shapes that covers the framework of window and door units. Cladding is material applied to the outside faces of windows to provide a durable, low-maintenance exterior surface. Cladding often provides protection from the elements and adds an aesthetic touch. It may also be referred to as window capping, which is a specialized field offered by few window contractors. Window sashes are single frame assemblies of stiles and rails (explain stiles and rails) that hold the glass. Wood windows are those with wooden frames. They are a natural option, so they require more maintenance than vinyl windows, and they must be protected from moisture to avoid warping and rot. Q: Why choose a Diamond Certified Window Company? A: Diamond Certified ends the guessing game by helping you choose a window contractor with confidence by offering a list of top-rated local companies who have passed the country’s most in-depth rating process. Only window companies rated Highest in Quality earn the prestigious Diamond Certified award. Most local window companies can’t pass the ratings. American Ratings Corporation also monitors every Diamond Certified company with in-depth and ongoing research and ratings. And your window installation purchase is backed by the Diamond Certified Performance Guarantee. So you’ll feel confident choosing a Diamond Certified window company for your new windows. Q: How will replacing my windows improve the comfort of my home? A: New windows will make your home quieter and more secure. Depending on the windows you choose, you may also notice a marked difference in the temperature of your home as well. Double-paned windows are insulated to keep out the heat of the summer, and maintain heat during the winter. Q: Will replacing my old windows save me money? A: Old windows and windows that are improperly installed are the biggest cause of energy loss in the home, costing you money every day. New windows will save you money over the life of the window by cutting heating and cooling costs. Some homeowners report savings of up to 30 percent on their utility bills after installing new windows. New windows can also increase the life of your furnishings and carpeting by keeping out harmful rays of the sun, so you’ll save money by not having to replace expensive furnishings. 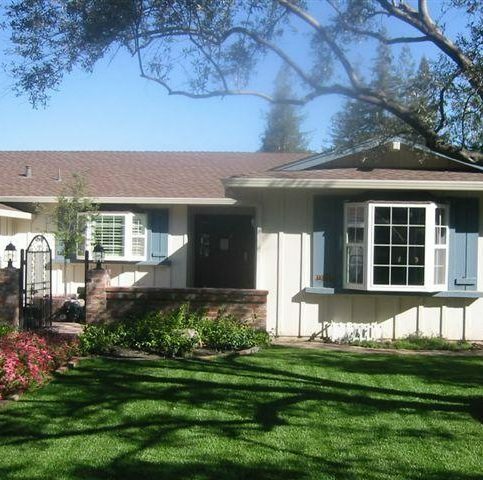 Q: If I decide to sell my home, will new windows and doors increase the value? A: Yes. New windows are one of the best home improvements you can make in terms of the return on your investment. Realtors report that Bay Area homes with new energy-efficient, maintenance-free windows can see return of up to 114% in resale value. Q: What window materials do I have to choose from? 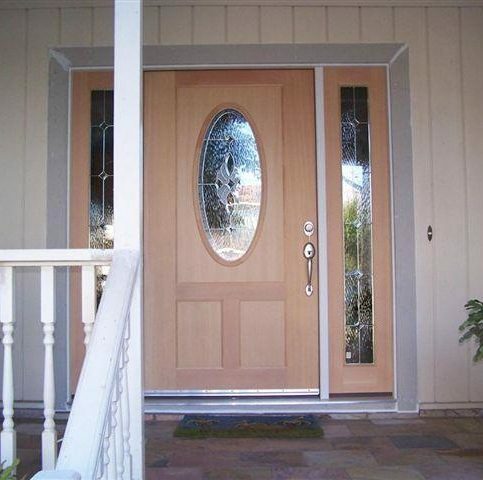 A: Your choices for new windows are wood, vinyl, steel, aluminum, fiberglass and composite. You’ll see the sash and the frame (the visible outer parts of the window installation units) from the inside and outside of your home, so it’s important to choose the material that gives you the look you want. It’s also important to select the material that has the attributes you’re looking for. For example, metal window frames can conduct heat and cold, so they may not be as energy efficient as wood or vinyl windows. Additionally, some window frame materials can be painted to match your home’s exterior or interior, so that may be an important consideration. Wood windows can be painted and stained. The downside to wood windows is that they must be regularly maintained. However, most wood windows are made from rot-resistant woods. When maintained correctly, they can last as long as metal windows. Vinyl windows are inexpensive, energy efficient and durable. And while they cannot be painted, they come in a variety of colors and are virtually maintenance-free. Steel windows are rarely used in residential buildings, as they aren’t as energy efficient as other types of windows and the window must be painted so they don’t rust. Aluminum windows are strong and durable. They also allow for greater flexibility in window design. However, they aren’t as energy efficient as other types of windows. Fiberglass windows are durable, efficient and strong. The frames can be painted to match any home. Because of their quality and durability, fiberglass windows are some of the more expensive widows on the market. Composite windows have sashes and frames made from more than one type of material. This allows the manufacturer to customize the windows to fit the exact needs of the consumer. Some composite windows have a wood interior that can be painted with more efficient material such as vinyl or aluminum that better resists weather. New composite windows can be made from recycled wood and plastic that can be painted but resist rot. Q: How do I know which kind of windows are the best choice for me? A: Your local window contractor will help you decide which manufacturer, style and material of windows is the best fit for your budget, home and aesthetic preferences. It’s wise to make a list of what you’re looking for in new windows so that your window installer can help you decide which windows best fit your needs. Q: How much do new windows cost? A: The cost of new windows greatly varies based on the type of windows you select, the manufacturer and the number of windows you have installed. It also depends on whether you’re having replacement windows installed (windows that are custom ordered to fit in place of your existing windows) or whether you’re having new window frames and jambs installed as well. Your window contractor can provide an estimate based on your specific requirements. Q: How long will it take to install new windows? A: That depends on the size and scope of your job. A simple window installation may take an hour, while installing new windows throughout an entire home may take several days or a week. Your window contractor should be able to give you an estimated time frame on your specific project. 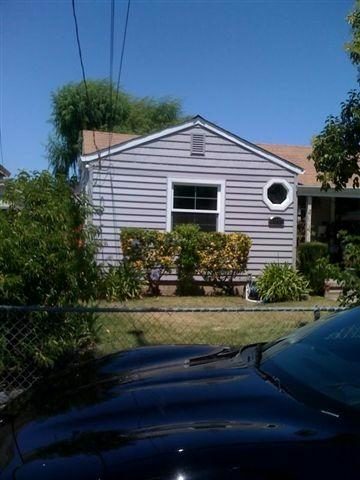 Q: Can I put in new windows myself? A: Like with many home improvement projects, you can replace your windows yourself. However, for most window replacement jobs, it’s better to hire a skilled professional. Professional window installers know the best materials and installation techniques for the job. And because they have so much experience removing old windows and installing new ones, they can do the job faster and much more effectively than can most homeowners. Q: What about getting my new windows from a home improvement store? A: Most home improvement stores sell new windows, and many advertise low prices. But you may sacrifice selection and quality by getting your new windows from a home improvement store. Most have a smaller selection, so you may not get the windows that best suit your home and your needs. And if they sell discount windows or off-brand products that are less expensive, you run a greater risk that the manufacturer will go out of business, leaving any warranties null and void. Another factor to consider is that most home improvement warehouses don’t provide installation or they rely on subcontractors. That means you can be caught between the retailer, the manufacturer and the installer if there are any problems with your windows. Q: I’ve heard it’s important to hire a local window contractor that is an authorized installer. What does that mean and why should I look for a certified window installer? A: Most major window manufacturers certify window contractors whom they have trained to install their specific products. These authorized installers also sell new windows and replacement windows. You’re likely to get a better installation, and some manufacturers even offer extended warranties on products their installers put in. And if something goes wrong later, you can avoid added hassle by hiring the same contractor for the purchase and installation of new windows one company will be responsible for the work. Q: What happens if someone gets hurt while working on a job on my property? A: When you hire a legitimate window contractor with the correct license, liability insurance and workers’ compensation insurance, you won’t have to worry. Under workers’ compensation insurance, every employee of the company is covered in the case of accident or injury. You will not be held responsible for damages. Make sure you ask your contractor to show you a copy of their active workers’ compensation policy.